The 2019 Season 1 is coming to an end, and that can mean only one thing: the Gathering of Tweakers Season Finale! We would like to see as much as possible Custom Paint Schemes as it makes the live broadcast much interesting to look at. Just use Trading Paints as the broadcasters and most of the drivers have that running. Car numbers are managed by iRacing. Fuel limits: 80%. One fuel stop during the main event. There will be no real Live Race Control, but at least one of our community members will monitor behavior and can hand out penalties. Protesting is not possible. Unfortunately, we feel mandated to impose a small minimum license restriction before you are eligible to race. Gathering of Tweakers community members who do not meet these restrictions may be allowed to race at the discretion of the organization. 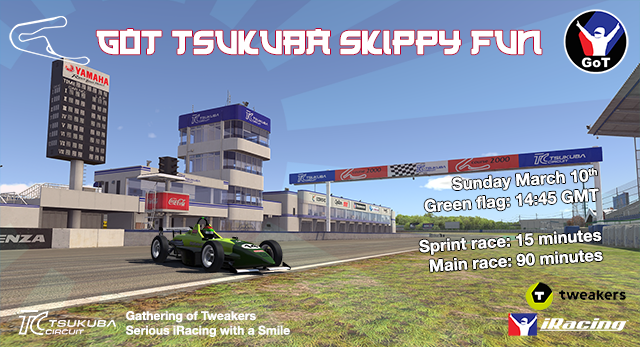 Drivers can join the GSRC discord server for an interview after the race. By joining the race, it is assumed that you have fully read and understood the iRacing FIRST Sporting Code. During Qualification & Race the use of text and voice chat in the Driver channel is forbidden. Just before the first free practice we sent out a short Drivers Briefing with the last details about the event. This is done through the League email functionality. We are a Benelux Community with Dutch and Belgium members. We accommodated in de past years over 700 drivers from all over the world in our series and one-off races. 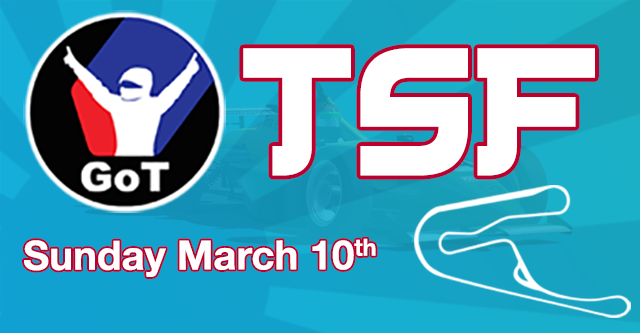 We organize weekly a Monday Tournament race, every 13 weeks a Season Final and Monday Madness and iRacing Schools. We also organized the GoT Endurance Series, but had to stop due to a lack of time. For several Endurance Series we form (ad-hoc) teams consisting drivers from our community. In our iRacing League we have over 250 registered drivers from countries all over the world. – The team behind GoT iRacing consist of a few iRacers who devote their free time in realizing this all.